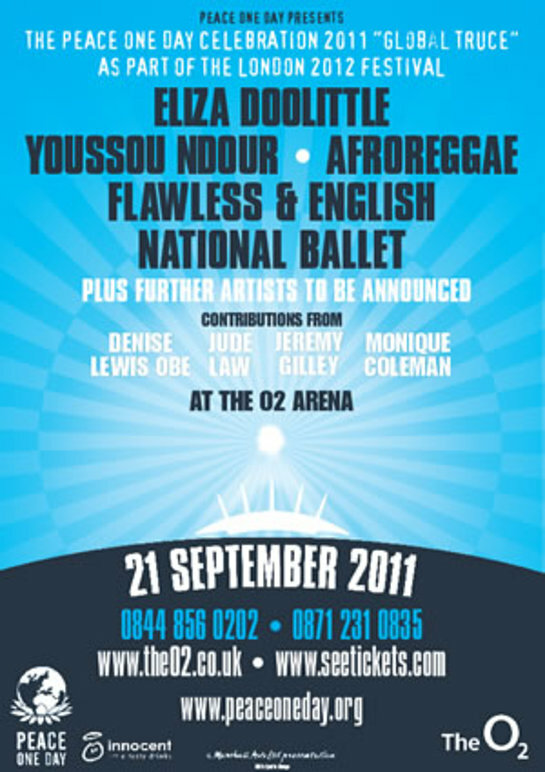 Eliza Doolittle and Youssou N'Dour will headline this year’s Peace One Day concert at the 02 Arena in London on September 21. Speakers will include Jude Law and Peace One Day founder and filmmaker Jeremy Gilley, with Monique Coleman also appearing. The concert will mark the start of a 365-day countdown to a global truce that the organization hopes to inspire in 2012. For Peace Day 2012, Peace One Day is calling for and working towards a day of ceasefire and non-violence – a Global Truce –observed by all sectors of society globally, from governments to the individual. POD hopes this will be the largest reduction in global violence in recorded history, both domestically and internationally. 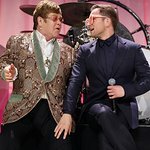 The O2 Arena show, which will be filmed in HD and broadcast internationally, is the first in a trilogy of Peace One Day concerts produced as part of the London 2012 Festival. The Peace Day Concert 2012 will feature an appearance by Elton John.